Visit Iminifri Cave and Ouzoud Waterfalls. Overnight in Ben el Ouidan. 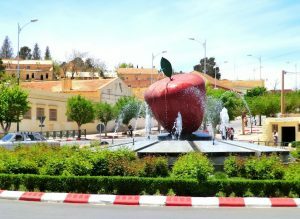 Depart Ben el Ouidan in the early morning and arrive in Fes in the evening. Free time to explore the city. Overnight in Fes. Spend Day 3 exploring the city with a local tour guide. 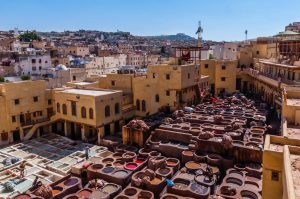 Take a walk through the medina and visit the tannery where leather goods are made, the Mosque of al-Quarawiyyin, Bou Inania Medersa, visit an artisan shop to learn how to make pottery, and visit a silk and scarf making shop. Overnight in Fes. 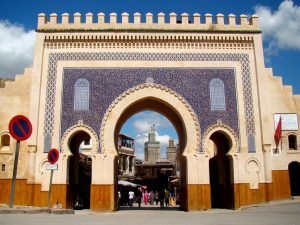 Depart Fes in the early morning to visit the Volubilis (ancient Roman ruins) in Meknes. Arrive in Chefchaouen in the evening. Overnight in Chefchaouen. 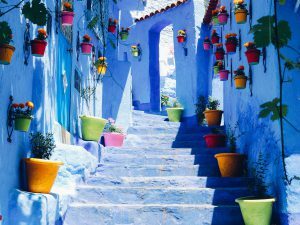 Situated in the Rif Mountains, explore the calm “Blue City,” one of the most beautiful and relaxing towns to visit in all of Morocco. Overnight in Chefchaouen. 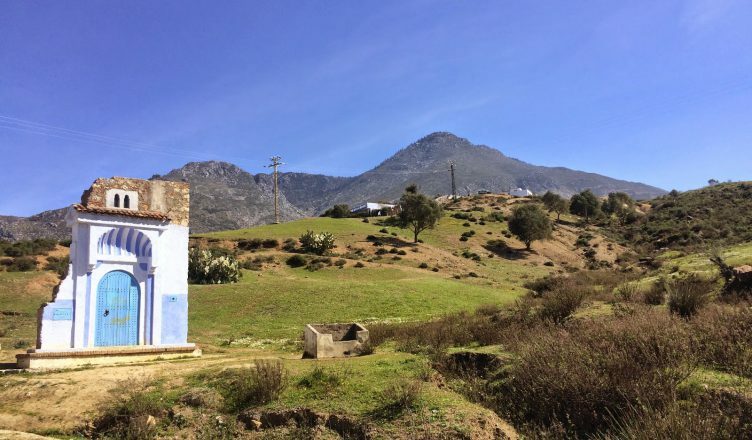 Depart Chefchaouen in the early morning to Midelt. Stop for lunch in Ifran or Azrou. In Azrou, visit the Cedar Forest and see the Barbary apes and their babies climbing trees, running around the forest, and snacking on melons and bread. Overnight in Midelt. 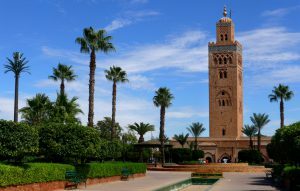 Depart Midelt in the early morning and arrive to Merzouga in the early evening. Take a camel into the desert and watch the sunset. Spend the night in the Sahara Desert in berber tents or underneath the stars. Dinner is provided. Be prepared for an early wake up call in time to watch the sunrise in the desert. Ride a camel back to the hotel for breakfast. 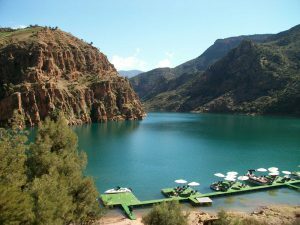 Depart Merzouga and visit the Todra Gorge. Arrive Ourzazate in the late afternoon. Free time to explore the city. Overnight in Ourzazate. 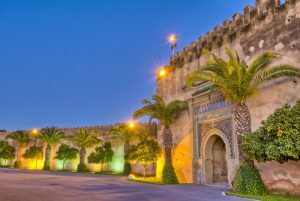 Visit Atlas Studios, the “Moroccan Hollywood,” and see the movie sets that were used in many popular films. 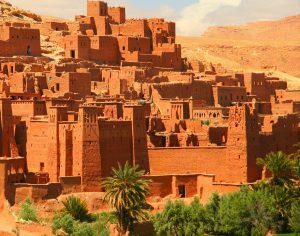 Visit the UNESCO World Heritage site, Ait Benhaddou Kasbah. Arrive in Marrakech in the early evening.